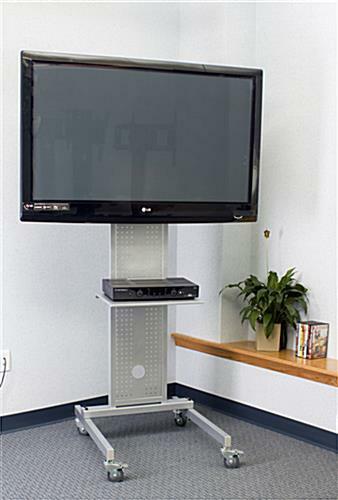 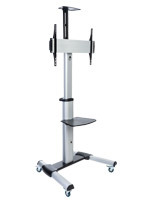 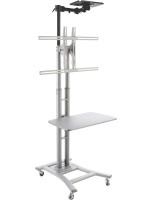 This flat screen floor stand features four large wheels, two of which lock, making moving between rooms at schools or in a company training room easy. 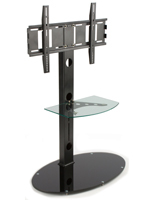 Each LED monitor mount can display a 37" to 70" television weighing up to 165 lbs. 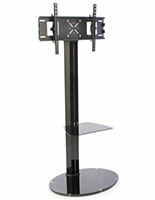 The mobile stand also features a tilting bracket that allows you to angle your screen upwards or downwards as far as 15°. 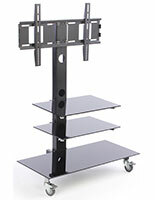 A steel shelf is included for holding various electronic devices such as DVD players, cable boxes, and gaming systems. 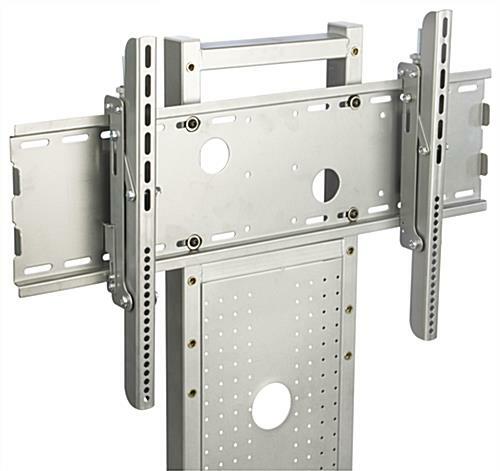 Each LED monitor mount has cable management cutouts that make hiding unsightly wires easy. 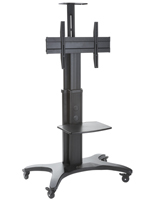 Whether used in a training room, employee lounge, or school setting, this TV stand combines technology with convenience to create a truly portable display. 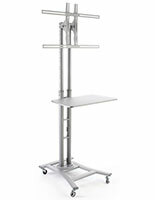 23.8" x 70.0" x 29.4"